Analysis Huawei's decision to cannibalise its own sales with cheaper Primark versions of its own products (branded "Honor") is perhaps the only interesting thing in the phone business right now. Sales of new phones fell 29 per cent in the UK year-on-year in the first quarter of this year – and it isn't just because of a pre-Brexit slowdown. Sales fell in affluent, growing economies across Europe too. France fell 23.2 per cent and Germany by 16.7 per cent. At the heart of this is a market dynamic of inertia that feeds back on itself. Phone technology has become commoditised, with few new thrills every year. Networks don't provide the incentives to ditch an old phone, as they move so slowly. So there's no reason for a rational punter to upgrade to the expensive latest model regularly. They've opted out of the upgrade cycle that kept phone companies happy. In response, flagship phones are now £150 to £250 more expensive than they used to be. But consumers have spotted this, and so hold off upgrades even longer. Add to the mix the Great Unbundling. Mobile operators used to be, in effect, giant credit facilities, bringing expensive technology to the mass market – but now consumers can choose their handset and their "airtime" separately. Last year sales of new SIMO (SIM-only) contracts overtook sales of the traditional bundled contact for the first time. The once-hidden cost of the handset itself is now visible, so consumers make an active choice, and shop around. The net result of all this is that the technology hardly matters any more, and price and value become paramount to the consumer. Huawei's "Primark strategy" using its Honor brand is quite brilliant at capturing this shift – even if it means leaving money on the table for the Huawei group. Honor isn't just cheap in the sense of low prices. Its launches are a bit of a shambles, and yesterday hundreds of media queued in a crush in London to get their hands on the device they'd been promised, shunning the demo area, which was empty. Two hours later (refreshments were not provided) the queue had cleared. What a way to run a show. The "real" Huawei is a model of efficiency, by the way. 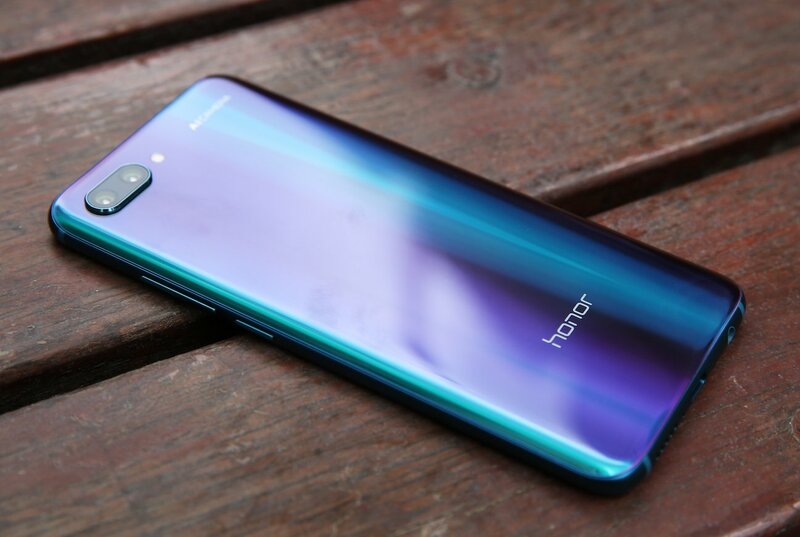 But how the heck, I mulled after the chaotic launch of £399 Huawei's Honor 10, is anyone supposed to compete with this? The phone is a beauty, not so much for the much-vaunted iridescent glass (which is nice but not as unique as Honor thinks) or the AI (which ruins more photos than it "enhances"), but for the fact you're getting so much technology in a really a svelte package. The Honor 10 is far more compact in the hand than photos or the specs lead you to think, as it's almost all display, like the wraparound displays of the Galaxy S8 and S9. £399 direct buys you a great display, 4GB/128GB, Huawei's latest processor, and a dual shooter full of fun and useful effects. There are niggles, like the lack of removable storage, but overall can't be beaten for value and quality. The Honor 10 is one of those rare mid-market game-changers like Motorola's original G (late 2013), and Honor's 7 (2015), that not only bests the competition at that price point, but makes more expensive rivals look a bit shabby. Many Reg readers get asked for recommendations and events like this make the answer easy. With the £150 G you'd say: "Need apps? OK, don't get anything else for under £200." With the Honor 10, it's: "How much do you want to spend? £400? Are you on an old iPhone? No? OK then." How does Huawei do it? According to Honor president George Zhou, a lot can be attributed to efficiency. Speaking at a press conference yesterday, Zhou said: "Our efficiency is more than double other brands. Efficiency means we can cut costs." This is not something we can readily corroborate – but scale and home-sourcing must help a lot. Huawei is buying components in volume, and it designs its own processors. Zhou had been asked whether he was worried by the imminent arrival of Xiaomi in Europe – Xiaomi has vowed not to price phones at more than 5 per cent margin, meaning the price war will probably escalate. So how do you compete with the Huawei juggernaut? I dunno. Ask a child. Maybe they'll know. I asked one of mine, and the quick-as-a-flash answer was: "Well maybe people will spend £300, not £400."